Have you ever asked someone when they are going to have children and their response is when we can afford them? I use to be one of these naïve people. I always felt I shouldn’t have a child until I had the most stable job, owned a house, had a vehicle with the highest safety rating, and had at least half of their college tuition saved up. Well if I waited for all of those things to happen I still wouldn’t be a dad. Guess what? Babies are expensive. Cribs, car seats, carriers, wraps, bouncers, rattles, clothes, socks, shoes, formula, doctor’s visits, diapers, and the list goes on and on. Did I say diapers? We haven’t even gotten to the first birthday party with the really cute cake smashing and you probably have spent somewhere between $10,000 and $20,000 on the low end. Have I gotten your attention? So you ready for this shocker? It doesn’t get any less expensive as they grow. In fact, when they become school age you might have to find another job, pull out a second mortgage or deplete your savings account to afford all the school supplies. I will never forget when my oldest started kindergarten and they told us they needed us to buy 24 glue sticks and 12 boxes of crayons. What 5-year-old needs 24 glue sticks? They used every single one and we have all the art projects to prove it. When you become a parent you are a parent forever. That means one way or another you will be providing support at least until they graduate college and start their own lives financially independent of you. Now imagine having 85-plus children that you are responsible for until they graduate and become financially secure and independent. 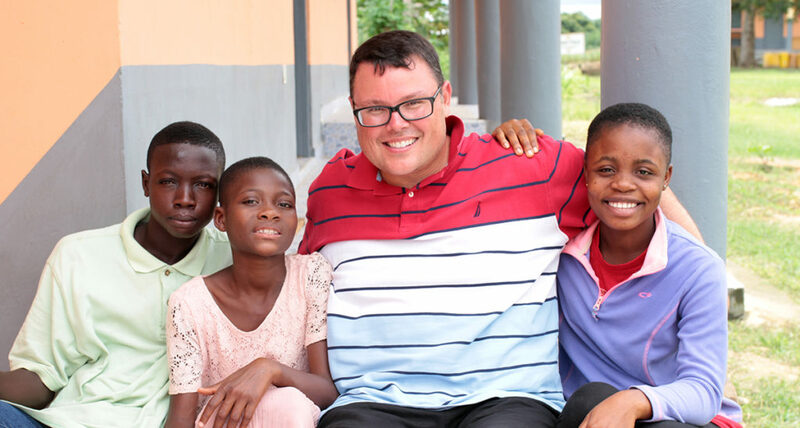 If Randy and Pam Cope had said we are going to wait until we can afford 85-plus children the great work that is changing lives in Ghana, Africa now would not be happening. As the children at the Care Center continue to grow and move into higher levels of education the expenses continue to increase as well. Like any great mom and dad, Pam and Randy will do whatever it takes to continue to care for “our” 85-plus children but the weight of that doesn’t rest on them alone. Please understand that there are plenty of education sponsorships still available that help fund the valuable work that is taking place through Touch A Life. If donors like you and I don’t cover the sponsorships, the children all still go to school, but the worry of parents not knowing how they are going to pay for that education becomes more real. I encourage each of you to look into your hearts to consider what you can do to help. Visit TouchALifeKids.org/Give to find out more about how you can make a difference in the lives of these children.